Sinn Féin TD for Wicklow/East Carlow John Brady has described the Oireachtas Water Committee report as “a great victory for Right2Water movement and the hundreds of thousands of people who campaigned against this unjust charge”. “Today marks a victory that I am very proud to have been part of. 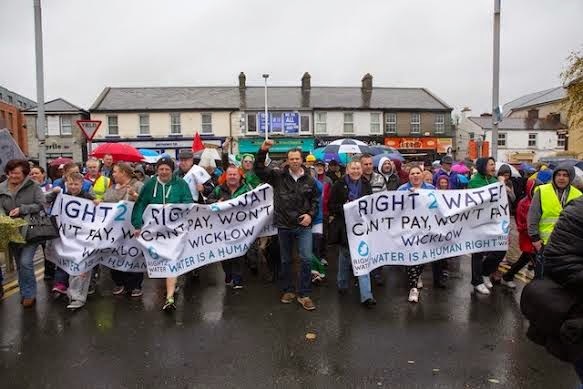 It is a victory for the people of Wicklow, those I stood with on the front-line against the installation of water meters and those that joined with me in mobilising thousands of people across Wicklow for the many protests held. “As the report stands, water charges are gone, charges for excessive use of water are gone, the metering programme is over, and meters on new builds are gone. “The report includes a clear commitment to hold referendum enshrining the public ownership of water and water services in the Constitution. The report also has a range of measures to promote conservation and reduce leaks in the public water system. “The Committee will be in a position to take a final decision when they meet later today and I believe there is a firm majority. 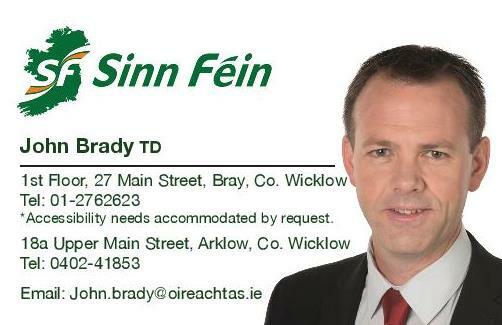 “I call on Minister Simon Coveney to stand by his word and legislate on the basis of the Committee report. The Minister needs to heed the advice of the Committee that he himself set up.